Looking for all natural ingredients that really work? 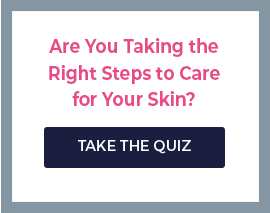 With Trilogy Skincare you cannot go wrong. Plus, Trilogy Skincare products are available with free shipping on orders $25 or more. Trilogy Skincare sets out to make products that are different: Products that not only perform better but are ethically, aesthetically and environmentally superior to help you make a conscious decision about the way you care for your skin, your wellbeing and your world. With Trilogy Skincare, you'll find chic and minimal packaging that's recyclable and made with environmentally friendly components. Trilogy Skincare provides beautiful textures and fragrances of rich and nourishing formulations made from ethically sourced advanced natural active ingredients. You'll also discover that Trilogy Skincare products are easy to use, affordable and come from a socially and culturally responsible company with sound business ethics. Skincare By Alana invites you to discover why Trilogy Skincare is known as natural skincare that works. Find harmony and balance for your skin with their high performance product collections. Trilogy provides all you need for great skin. Trilogy products like the Everything Balm are innovative and all natural. You won't find other products on the market that function, smell and perform the same. The Everything Balm is a great all-around moisturizer that you can rub anywhere on your body... not just on your face or lips. By far, Certified Organic Rosehip Oil is the most popular item that Trilogy Beauty makes. This Trilogy oil uses organic ingredients to fight signs of aging like lines and wrinkles. 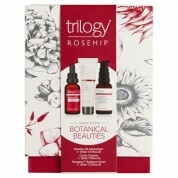 The Trilogy Rose Hip Oil is light and works wonders. Trilogy Cosmetics like the Cream Cleanser and the Face Cream give the product line its wonderful reputation. Started in New Zealand, this product has since been made available in the USA and you can purchase it for the best price available online at Skincare by Alana.